Why Choose CoolSculpting™ to Freeze your Fat Away? Frustrated by those stubborn fat bulges that won’t go away even with exercise and diet? Those genetic areas of fat that no matter what weight you are the fat just doesn’t budge. CoolSculpting™ is the most innovative and high tech procedure that has been proved to reduce those aggravating stubborn areas of fat without surgery and no downtime to achieve your ideal image. CoolSculpting™ is the best non-invasive alternative to surgical liposuction. This brand new mechanism of freezing your fat away really works. It’s the coolest way to get a hot body. Freeze your fat away and feel wonderfully fit. What is CoolSculpting™ and how does it work? The FDA has approved CoolSculpting™ to safely and effectively destroy unwanted fat cells in areas of the body through highly technological process called Cryolipolysis. This process actively freezes fat cells. Fat cells are very sensitive to cold and are destroyed when the cooling panels within the CoolSculpting™ cups are placed on the fat bulges. The fat bulges are suctioned up snuggly into these cups so that the fat bulge is flattened up against the cooling panels. The cooling panels are controlled by computers to emit the exact amount of cold to the unwanted fat areas to effectively destroy the cells. For any woman who has undergone a mammogram you can conjure up the same image of your breast flattened between the panels of the mammogram machine, the cooling panels are doing the same thing to your fat bulges. The panels are left on for 30 minutes per area treated. So if you want love handles and front abs done this would be considered three treatments taking 3 hours of time. When the cooling panels are removed, the area is cold and thick like a brick. After a few minutes of massage by the technician, the skin returns back to its natural softened warm state. There may be some soreness for about 5-7 days and the results are first seen beginning in the 4th week after the destroyed cells are absorbed by the body. It takes up to 90 days to see the fat reduction and your best results. 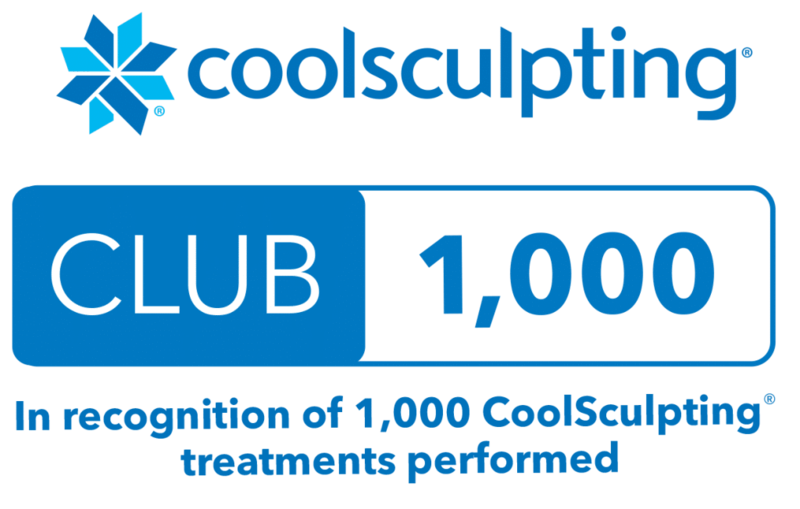 What Occurs When the CoolSculpting™ Applicators are applied to my Body? CoolSculpting™ is a novel, non-invasive and clinically proven therapy to selectively thin the superficial fat of the skin using a dual cooling plate within a therapeutic suction cup. There are 3 cups which must have a secure fit for it to work. Over the course of an hour, the suction may create a sensation of tugging, pulling or pinching. The cooling process may feel tingling, cold or burning. These feelings subside over 5-10 minutes. You will then sit comfortably, napping, reading, working on your iPad or laptop or listening to music during the time the therapy proceeds. At the end of the session, the cup is removed and the stiff frozen fat is massaged back to normal. This takes less than a minute and another site is started. The fat cells that were cooled to “freezing” signal the cell to undergo involution also called apoptosis. This process can create swelling, a pink blush, itching and sometimes discomfort like that of sit-ups over a period of 3 – 12 weeks. While you are not required to wear a garment, Dr. Kane suggests that you may want to wear a Spanx or Under Armour type garment during the initial couple of weeks right after the procedure is performed just to feel some support in the treated areas. While most people feel small discomfort, ibuprofen can be used to reduce any soreness. The fat and any residual cells are eliminated through the liver and the stool.